Alexander Rose Mahogany High Back Bench: This Alexander Rose Mahogany High Back Bench has been manufactured to the highest qwuality that Alexander Rose can offer and has a suitably high seated back to offer support for you and a friend. The evenly spaced slats on the Alexander Rose Mahogany High Back Bench are curved, so you and your friend can sit back, relax and chat for many hours in pure comfort. 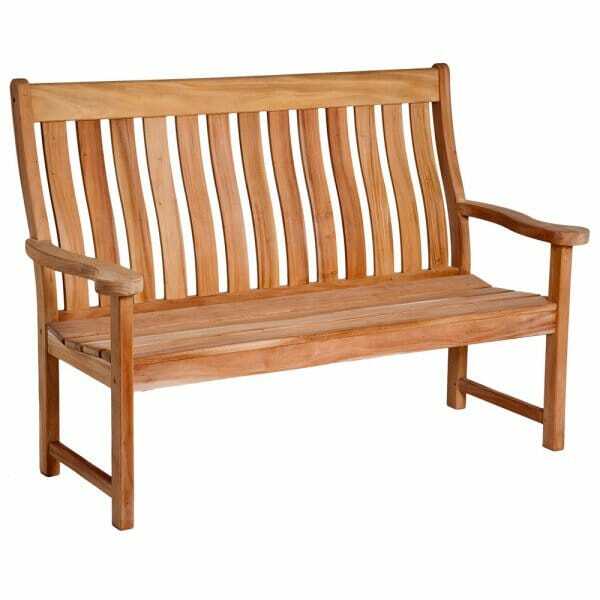 The Alexander Rose Mahogany High Back Bench has been constructed from a strong hardwood that originates from Central Africa and has been FSC certified. The hardwood used for the Alexander Rose Mahogany High Back Bench is a pinkish colour when it has been freshly cut however over time, it darkens to the red/brown mahogany colour. This Alexander Rose Mahogany High Back Bench will need treating with a timber treatment to maintain the colour within 6 months of purchase.